On Thursday, January 29th at 7:00pm over 30 students gathered in the Rumley Center to enjoy an evening of fun and festivities centered around dating on campus. 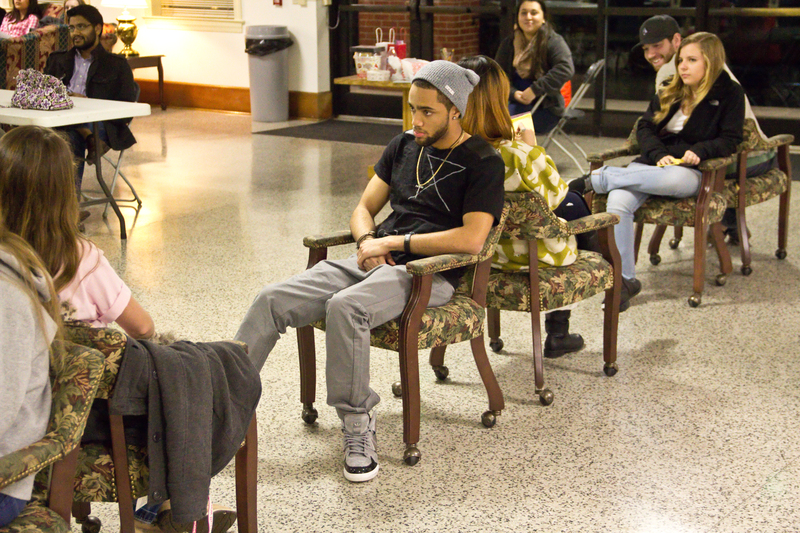 Date Night, the special event hosted by the Campus Activities Board, provided students with an enjoyable evening of games that tested their resilience as a couple and their potential to become a couple in the future. “It was a lot of fun. It was cool that we knew that much about each other.” said Beth Potter, a Freshman biology major and participant in the first round of games that evening, the newly-wed game which hilariously tested how well each couples knew one another. “I thought we were gonna miss a couple of them that we got right, that was pretty cool.” said Trevor Miller, a Junior Exercise Science Major, and one of the evening’s game winners, rising to the top of the newly-wed game. With two rounds of humorously exciting games that were definite crowd pleasers, the evening’s participants played not only the newly-wed game to test their knowledge of one another, but then played the dating game to test their potential compatibility, much in the fashion of speed dating. 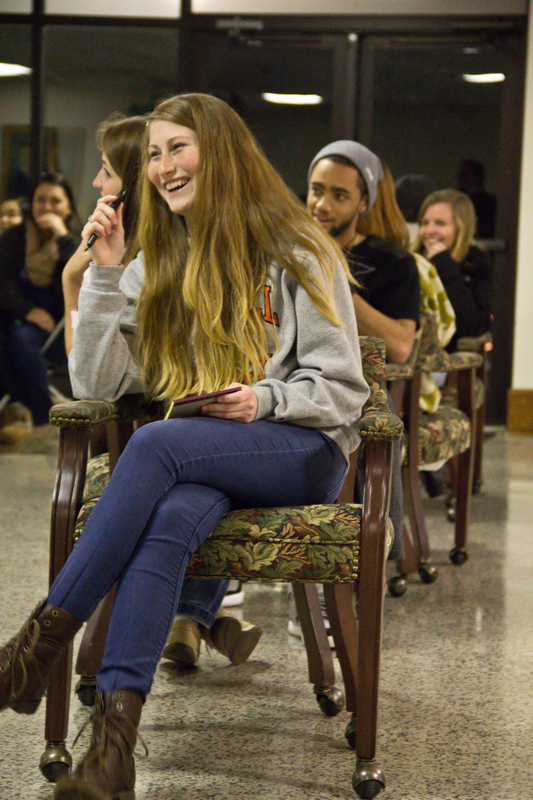 Featuring corny pickup lines, the dating game put a comical twist on the traditionally clique speed dating environment, treating the students gathered to a more enjoyable and relaxed environment. From hilarious couple stories to cheesy pick up lines to fantastic prizes and the latest music, the Campus Activity Board’s Date Night was a crowd pleasing event that brought dozens of students together for a casual evening away from the cold outside and impending homework to enjoy one another and put a very humorous spin on the age old game of romance on a college campus.